The Year of Dance was an artistic research project that explored how art-making builds communities and families. It took the structure of an ethnographic study, with a “fieldwork” stage (a year of making dance performances) and a “data analysis” stage. I decided to make 2012, my 25th year of living as a professional artist, a year of tribute to my dance world, a world I thought I had exited but never quite left behind. This dance world is variously called experimental, post-modern or somatically based, and it is the outgrowth of the Judson Dance Theater. It emphasizes improvisation, somatic practice, conceptual rigor and constant research. I worked on the meta-performance of being a dancer and a dance-maker — foregrounding the performance of the process, putting the labor of the making of the performance on equal ground with the culminating performance moment. I acted as an embedded ethnographer in the world I know, a participant-observer living within and analyzing simultaneously. There were six performances over the course of the year. 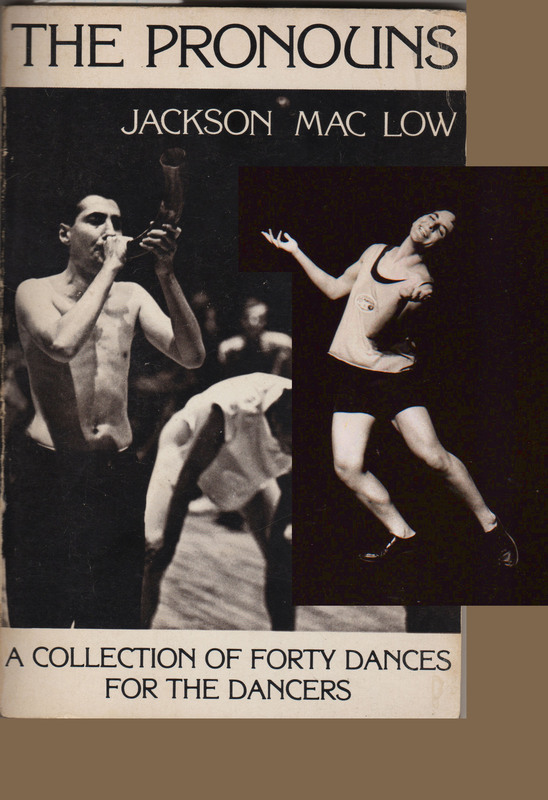 Much of the year was spent experimenting with, and culminated with, performance based on The Pronouns: A Collection of 40 Dances for the Dancers, a book by my father, Jackson Mac Low. As part of the process, I met face to face (or Skype to face, if necessary) with every person involved with the project, to establish and consolidate each relationship, explain the nature of piece, and garner ideas and thoughts about the pieces and the larger research project. I also with consultants, audience members, peripheral theorists, interested academics and a few poetry scholars.